Conflict Transformation: Unit 9: What Is Framing? We organize information by framing it to focus on what we believe is most important. Often parties have oppositional perspectives of the same issue because they frame the problem from different angles. This lesson defines frames and asks students to examine the many different ways opinions can be viewed. Students will draw from literature and opinion editorials to practice identifying frames. A final assignment will ask students to take a step back from a highly charged issue and reflect upon the way that they have framed the issue to form their opinions. Students will write an essay analyzing the frames used by an opinion editorial. Students will identify frames used in scenarios and a narrative. Students will reflect on their own use of framing by creating a collage of a charged issue. "The Tower of Babel" by Pieter Bruegel the Elder (Or another equally complex painting). Also, cut up sections of the same picture: Give one group the cloudy sky. Give another group the people in the foreground. Give another the background of the city. Give a fourth group the harbor, a fifth group, the tower, and a sixth group the island in the distance. Cut each section so that it is as distinct as possible. Ask students to read through the "Fact Frames" article by Robert Gardner and the accompanying handout. Split students into groups. Ask each group to volunteer one representative. 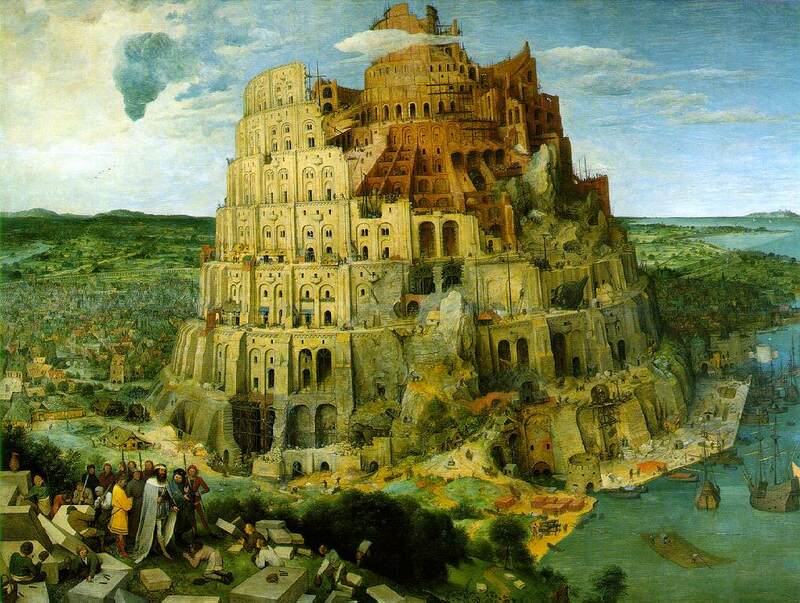 One at a time, show each student a different section of the picture, "The Tower of Babel." Do not show anyone the full picture. Ask the volunteers to return to their groups and describe the events and / or the environment that the picture captures. Then ask them to describe the picture to a volunteer in their group who will draw. The student who saw the picture cannot draw or touch the paper; they can only coach their group verbally as they recreate the painting. When everyone is done, hang the student's versions of the painting on the board. Ask each group to describe the subject of their painting. Explain that all of the students drew the same painting. Ask how each group could come up with such different renditions. Post the original painting. Explain that each group was allowed to see only a part of the whole painting. Explanation: We just framed the painting in a different way for each group. We decided what part of the painting we would focus on, and therefore, what part of the picture was most important. We do this all the time with information. When there is a lot of information about a problem, we tend to focus on certain aspects of the issue. This frames the problem, putting what we see as important inside of the frame and center-stage, while the aspects of the debate that we don't think are important remain outside the frame and are often forgotten. Explain that there are many different ways people can frame issues (based, of course, on what seems most important): identity, characterization of others, power, conflict management style, risk, and loss vs. gain. The article that the students willl read in class will focus on fact frames. Ask students to read through the "Fact Frames" article by Robert Gardner, and complete the handout. After students have finished, discuss the lenses through which different parties view the debates listed on the back of the handout. Homework: Find an article from the opinion section in a newspaper and complete the . Ask students to present their homework. They need to summarize the articles they read. In addition they will explain which frames they think the author used and why. Read "The Treasure of Lemon Brown" and ask students to complete the handout. Question: How did meeting Lemon Brown reframe Greg's problem? Why? Ask students to write down a response to the question and support it with evidence from the text before the discussion begins. Ask students to consider a problem that they feel strongly about. Ask them to use the My Frame of the Issue worksheet. At the end of the worksheet, they will be asked to make a collage showing their view of an issue. Homework: Using the , write the first draft of your response to text essay. After you complete the essay, make sure that you have read through the finished piece at least once to check for clarity and misspelled words. Ask students to share their collages. Each presenter should explain the issue, his or her frame on the issue and the perspectives outside the issue. Then the student should share any common ground he or she can see and elicit ideas from his or her audience. Audience members should fill out a section of the Frame Notes for each presenter. During the second half of the period put students in pairs. Ask students to swap rough drafts of their response to text essays. Next, they should carefully read the paper for meaning and clarity. Ask them to mark with question marks anything unclear and circle anything misspelled. When they are done, ask them to raise their hands. Give the students who have finished the Response to Text Peer Review worksheet. Ask students to follow the directions on the worksheet and answer the questions. When both students are done, they can explain their answers and offer their advice for improving their papers to each other. Ask students to exchange Peer Review worksheets so that the writers can use them to improve their pieces. Homework: Using the suggestions from your friend, revise your first draft. Remember to read through your whole piece after you've finished making your changes to ensure that everything flows. Use Vermont's to help you stay on track.